If you want something that strays from the norm but isn’t overly whacky, aQuaeria is the place for you. 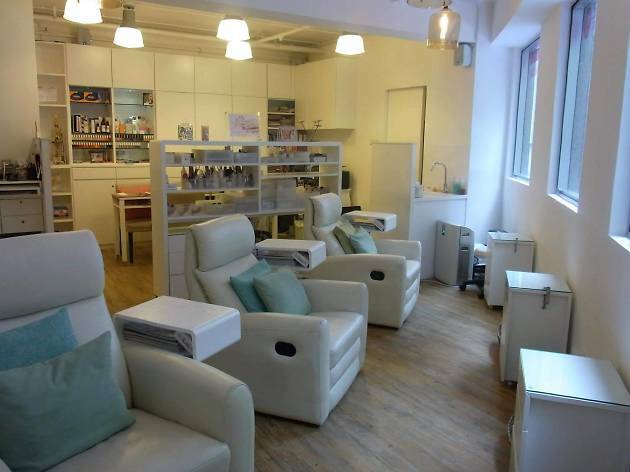 These professionals have a long list of competition wins, in no small part down to their Japanese nail technicians that specialise in – oddly enough – Japanese-style nail treatments. Whatever nail art you have in mind, these manicurists will – within reason – make it happed while ensuring that your nails are kept looking healthy and shiny. First timers and other promotions are offered on their website. Prices: regular manicure - $280, regular pedicure - $480, gel/acrylic hand from - $550, gel/acrylic foot from - $850.